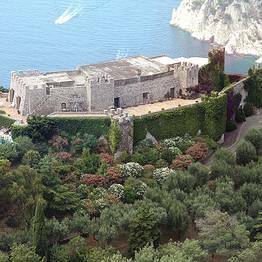 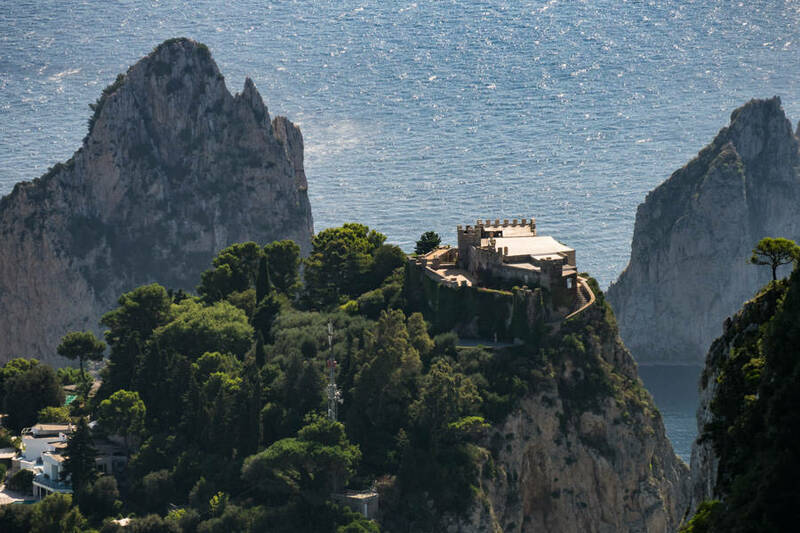 The timeless elegance of a castle, the luxury of a pool set on the clifftop directly above the sea, the peace of terraces overlooking the coastline: Villa Castiglione offers all this and more as one of the most exclusive villas with a pool on Capri. 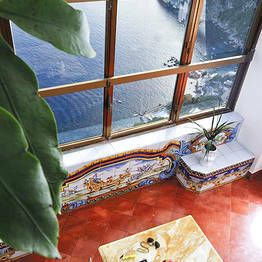 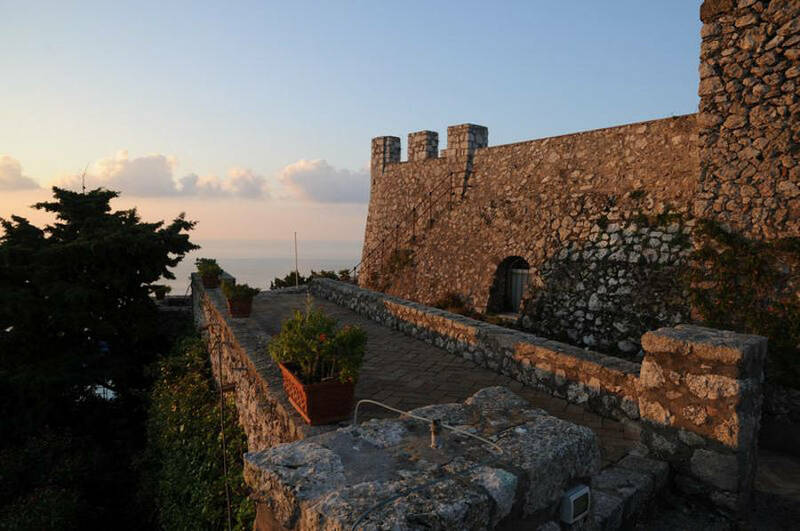 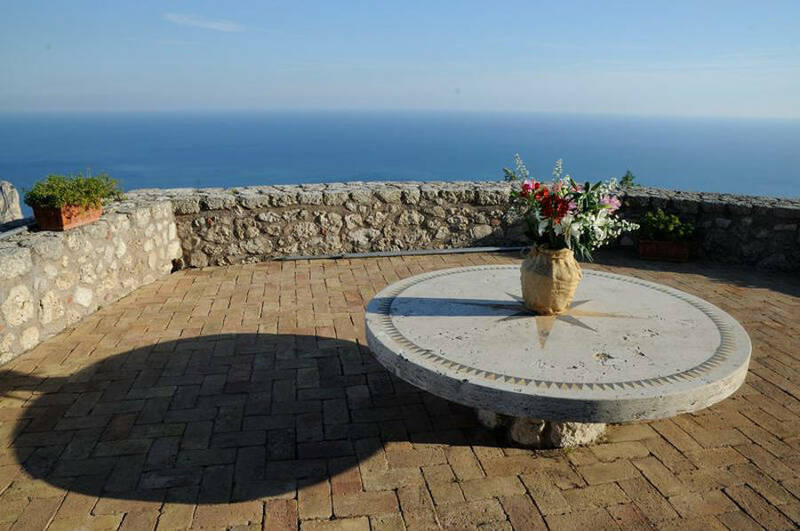 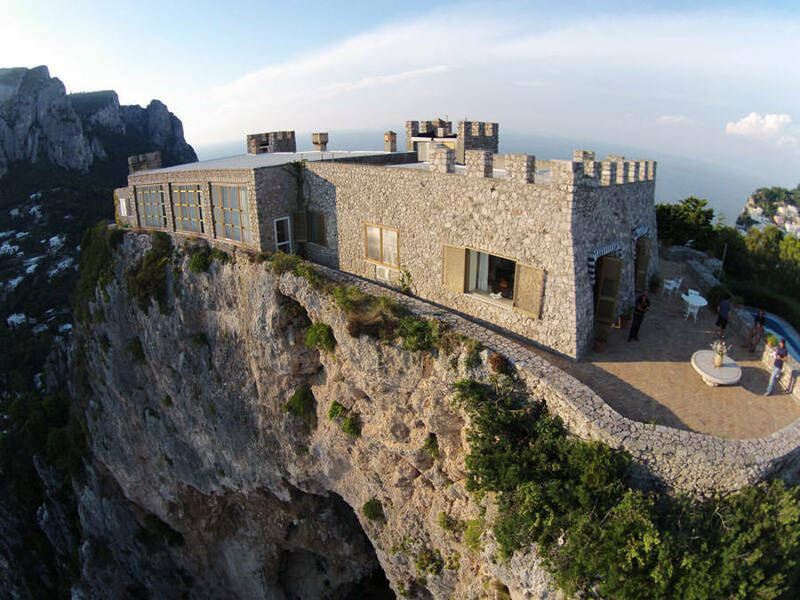 Marina Piccola, the Faraglioni, the Piazzetta, the Bay of Naples: the view spread out before you at Villa Castiglione is one of a kind, from its heady perch 370 meters directly above the water. 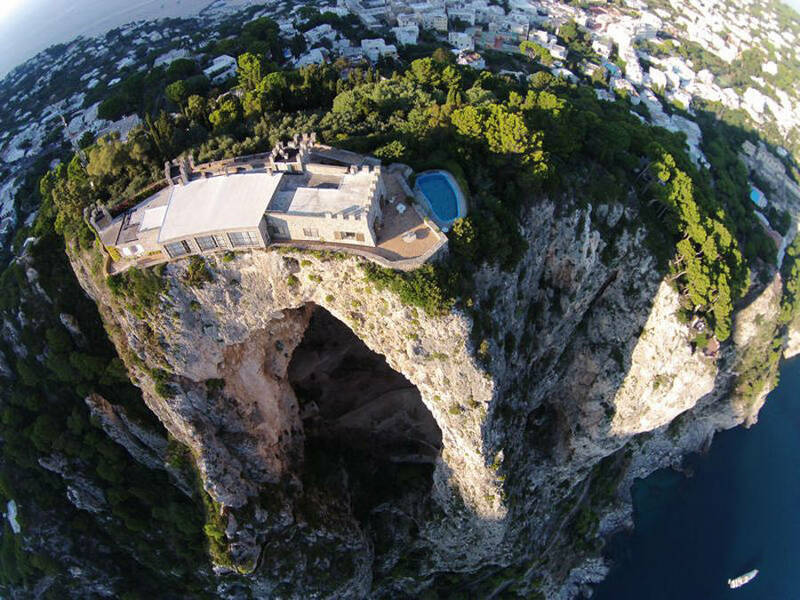 You'll feel like you are floating between the sky and sea at this unforgettable island retreat. 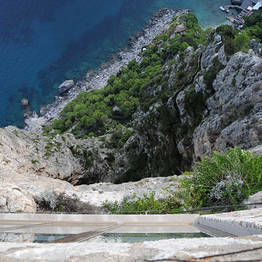 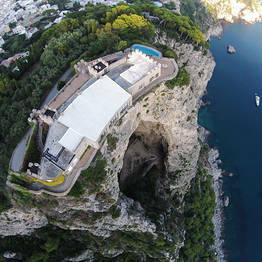 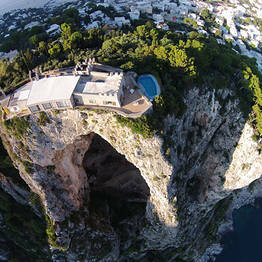 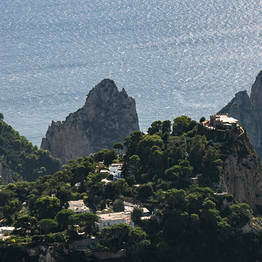 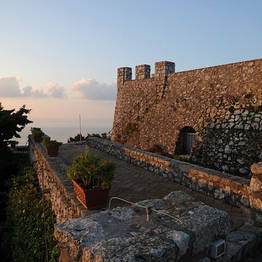 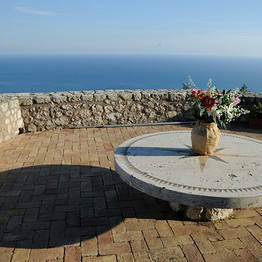 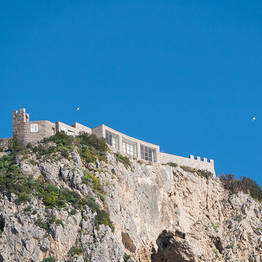 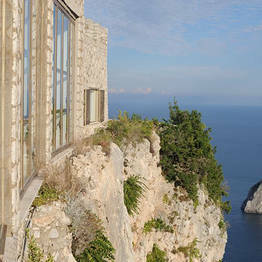 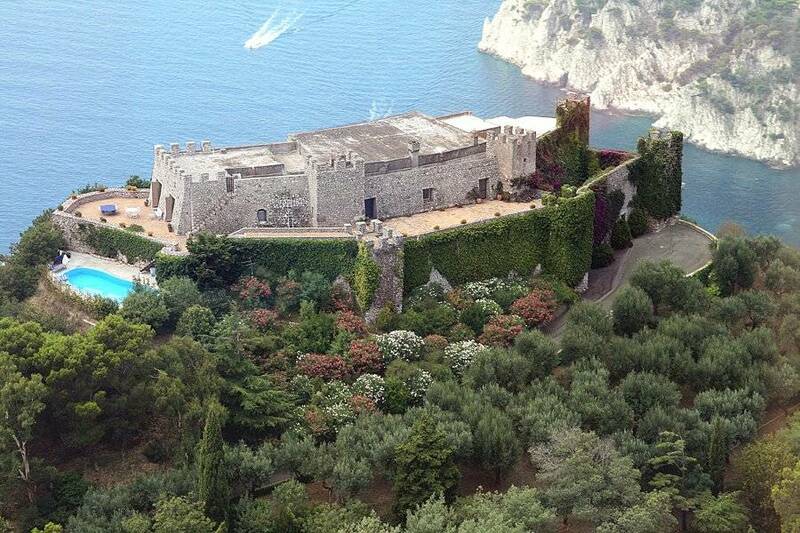 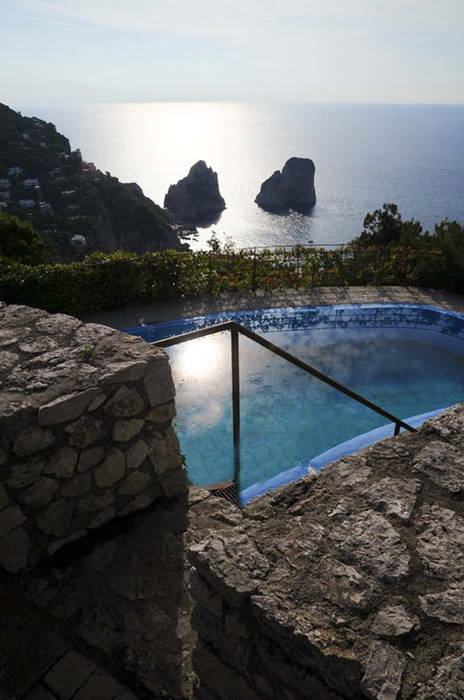 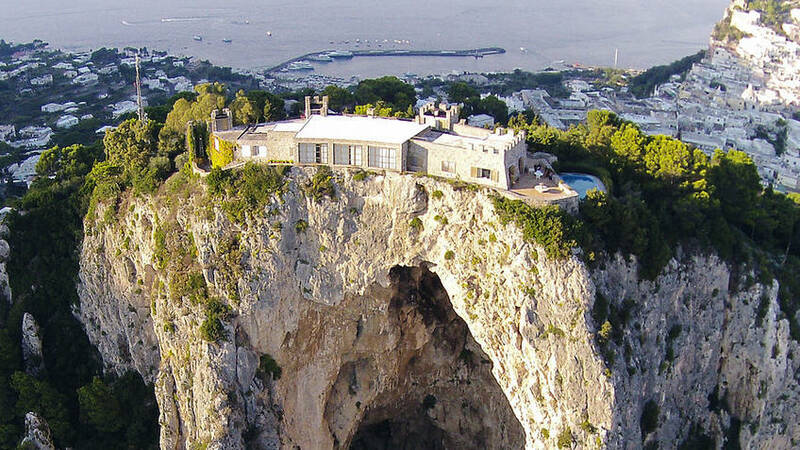 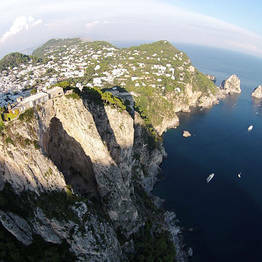 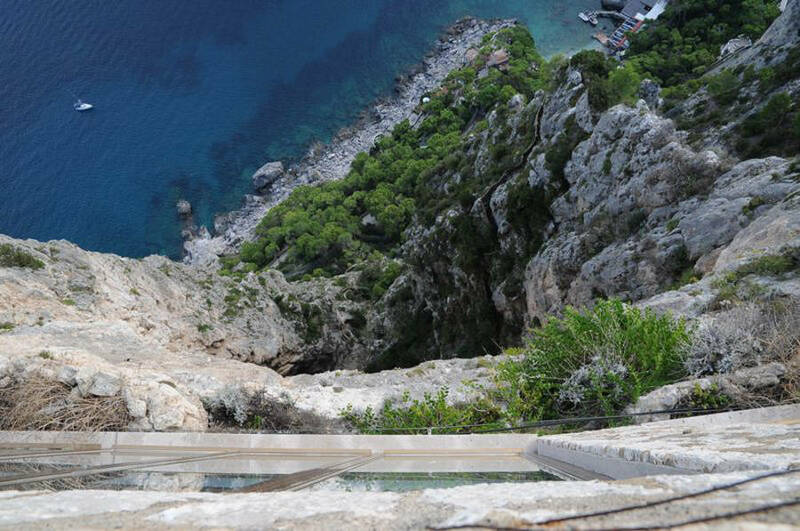 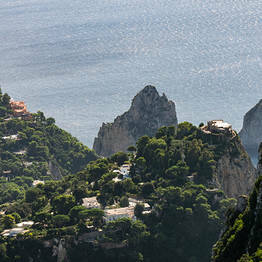 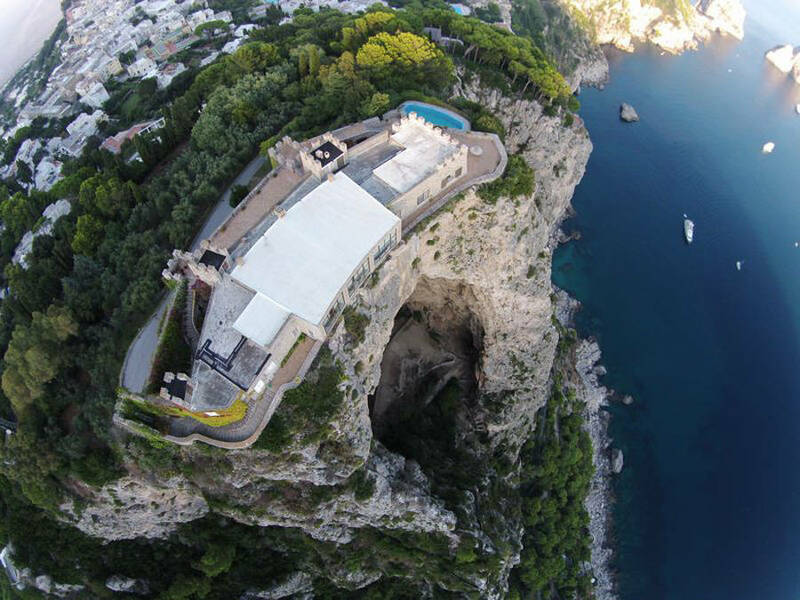 For its location and view, the pool at Villa Castiglione is among the most spectacular on Capri. 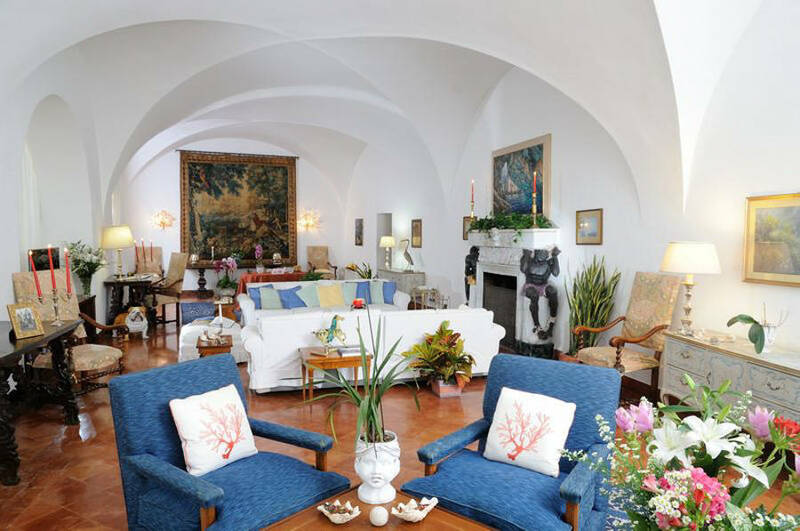 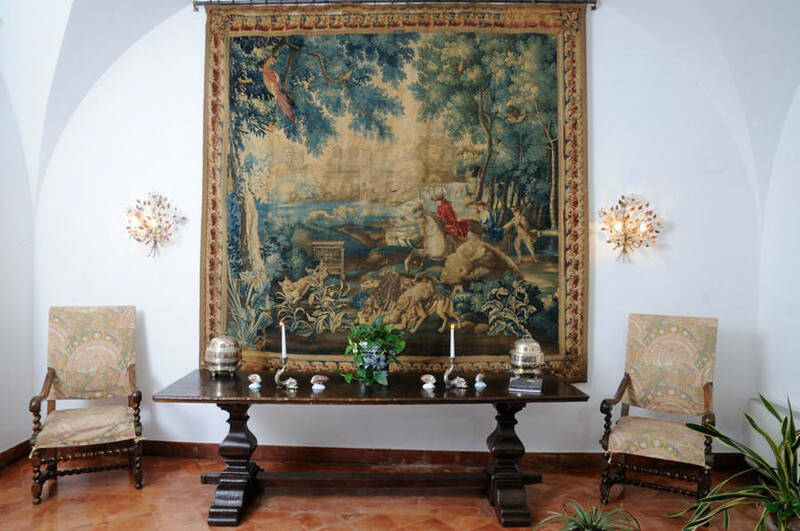 Tucked in a magnificent Mediterranean garden, Villa Castiglione is the pinnacle of elegance, with a full 1,000 square meters of internal space. 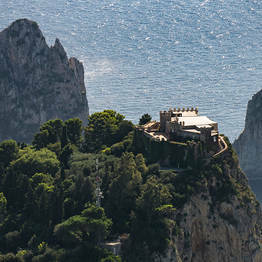 This private realm is yours to savor, including the aristocratic main hall with its plate glass windows overlooking the island and sea that seem like works of art, stretching over the Marina Piccola Bay, the Faraglioni, and the endless blue of the Mediterranean Sea stretching to the horizon. 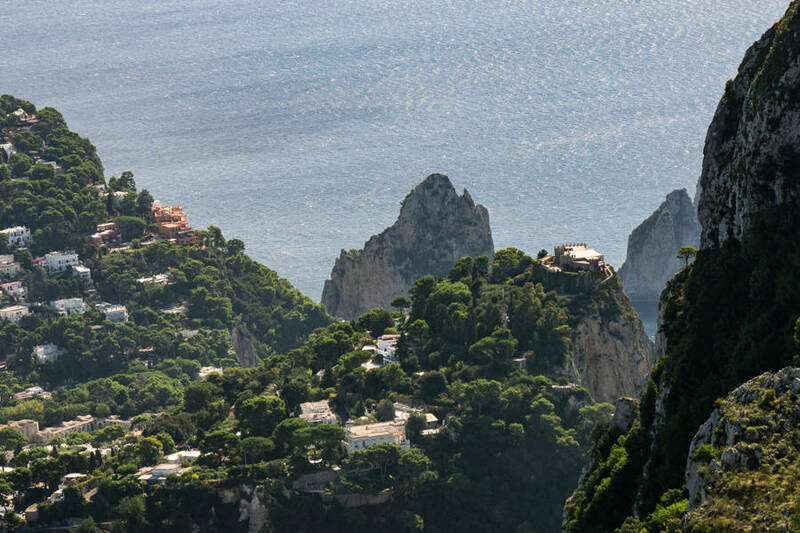 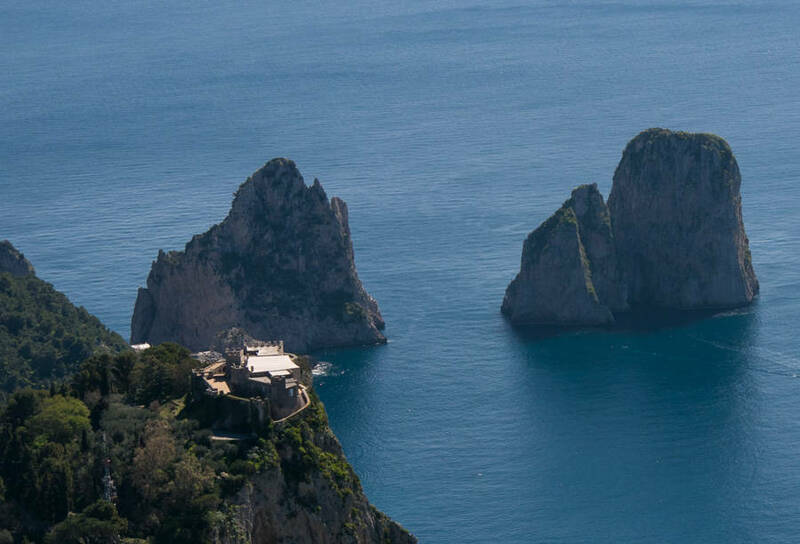 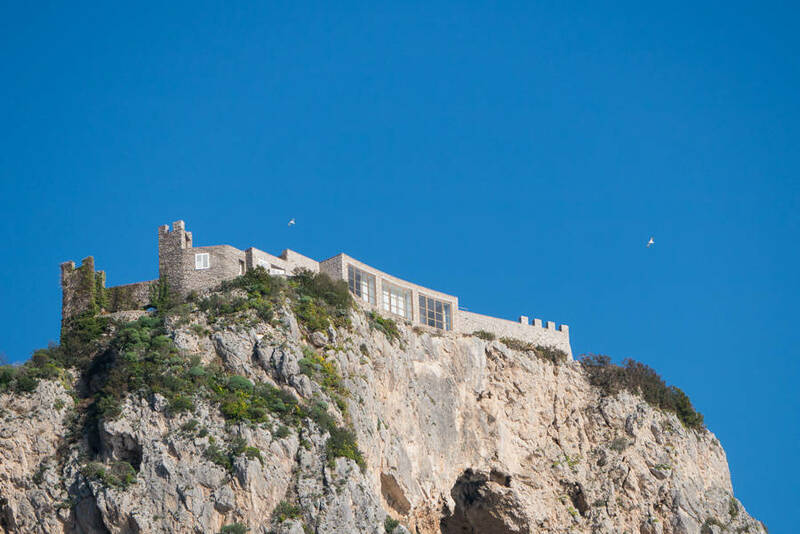 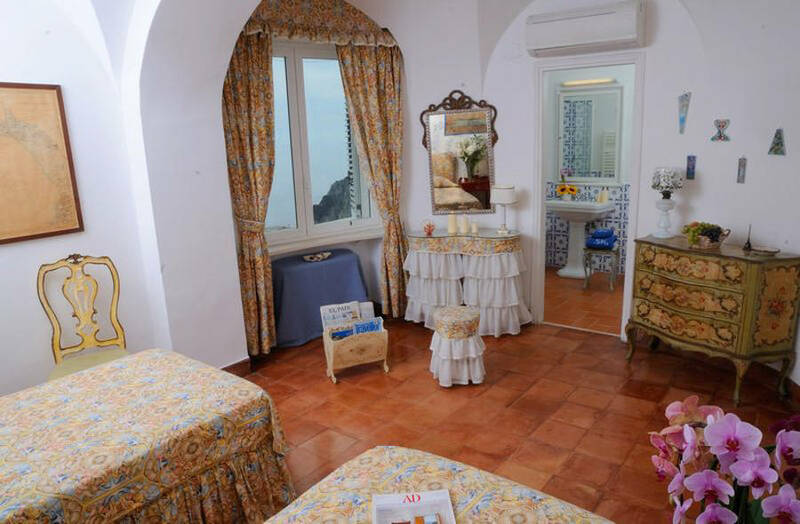 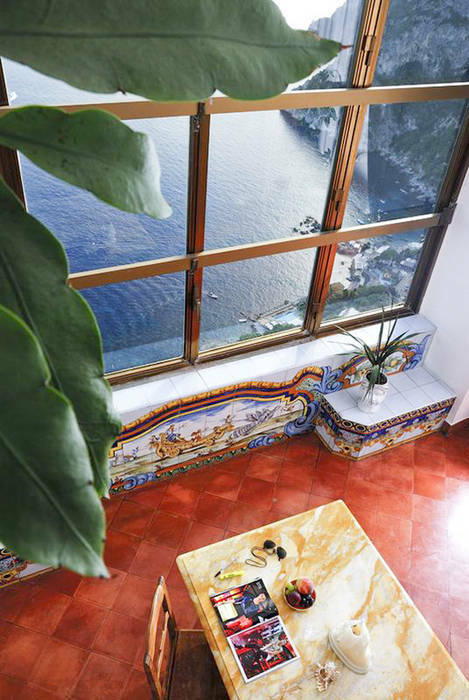 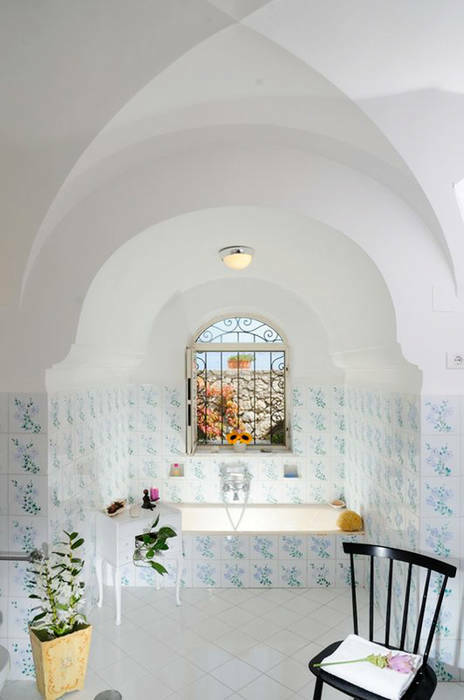 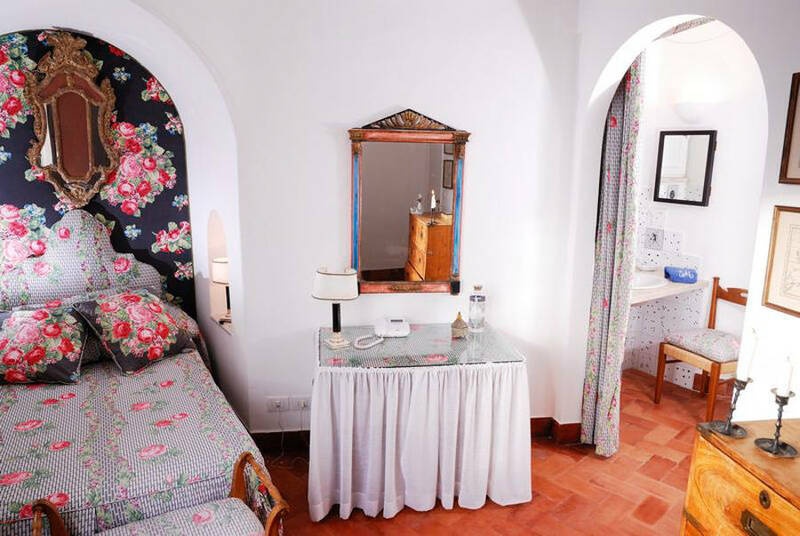 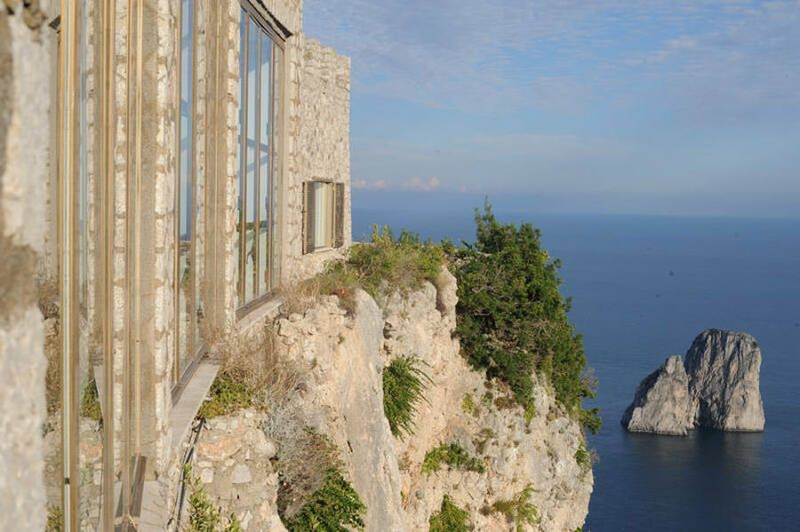 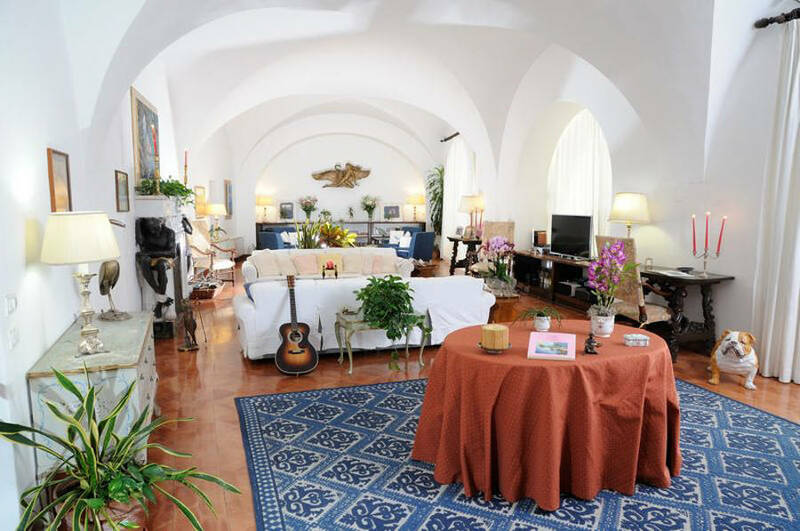 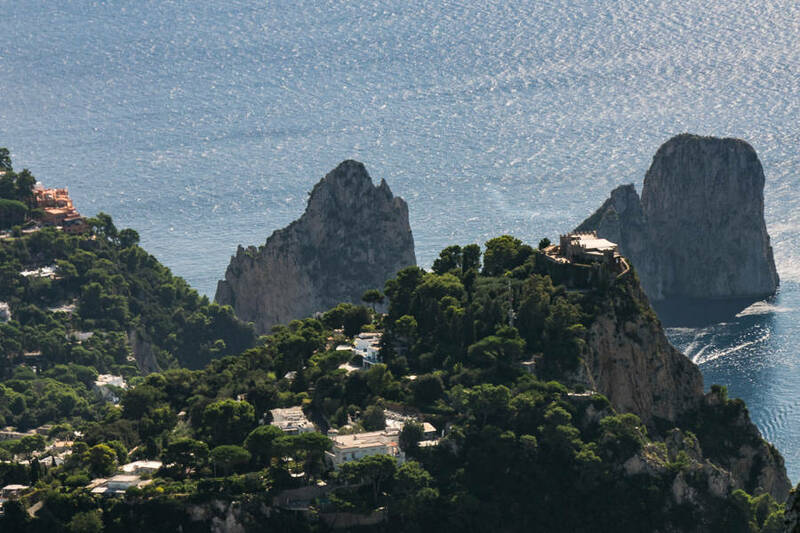 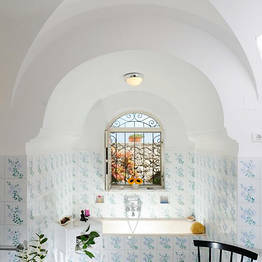 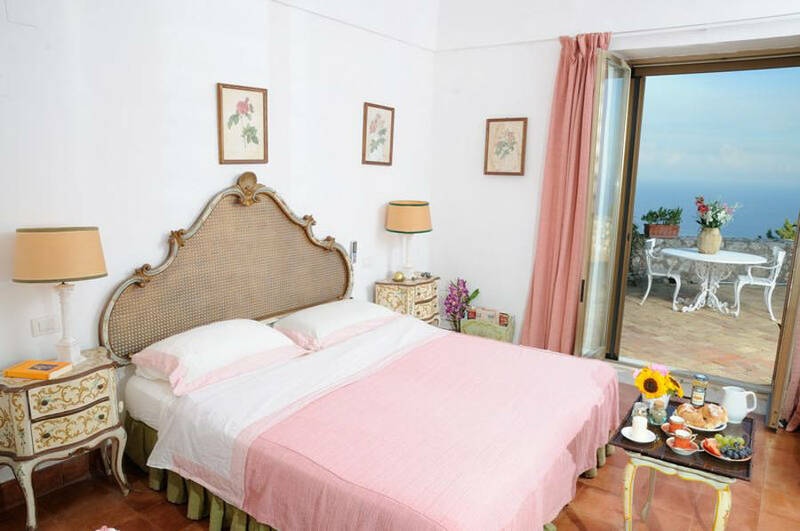 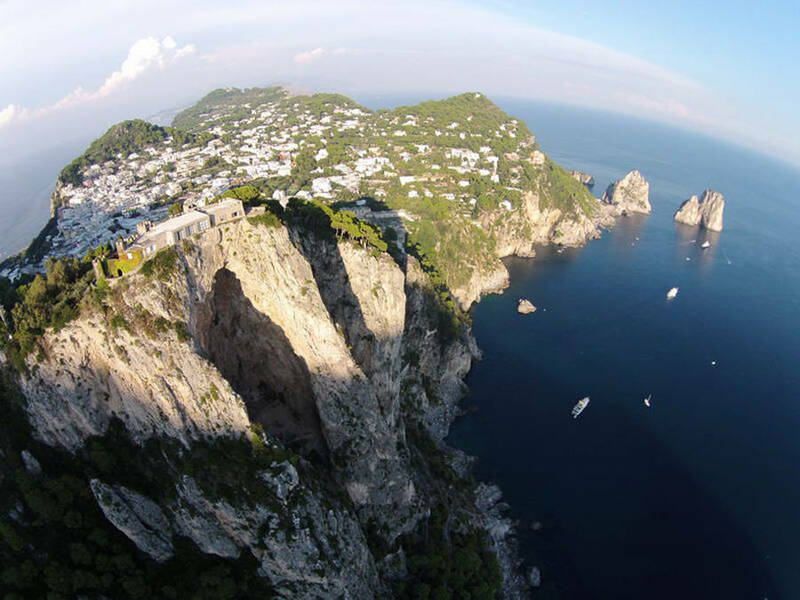 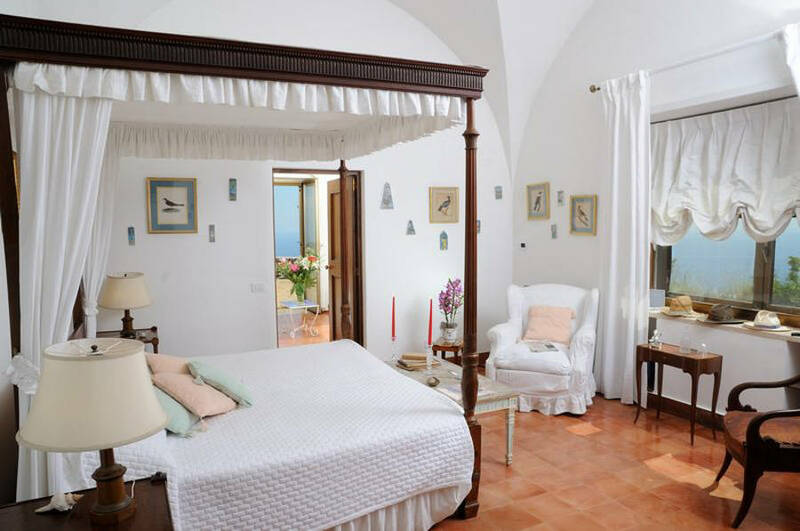 Spending your holiday at Villa Castiglione means surrounding yourself with the beauty of Capri, including the stunning guest rooms with views over the Faraglioni and the Marina Piccola Bay. 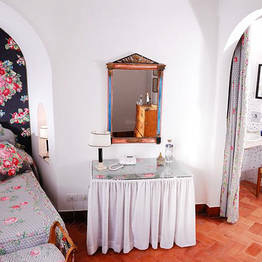 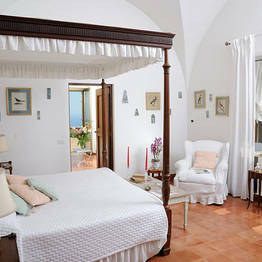 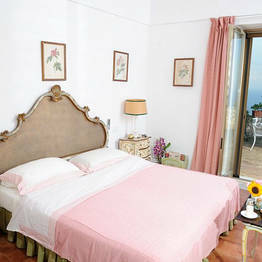 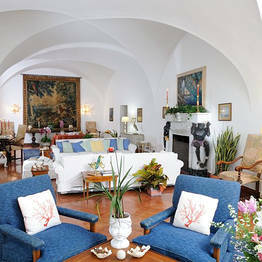 The villa has 5 bedrooms: the master bedroom with a private terrace, and the Rosa, Vela, and Zodiaco rooms. 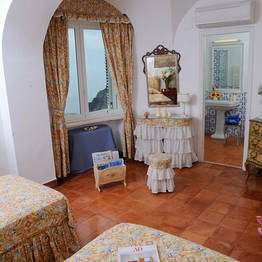 In addition, there is a fifth small guest rooms. 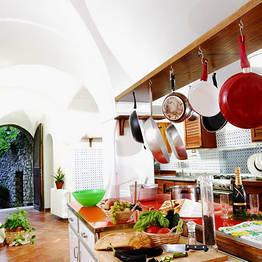 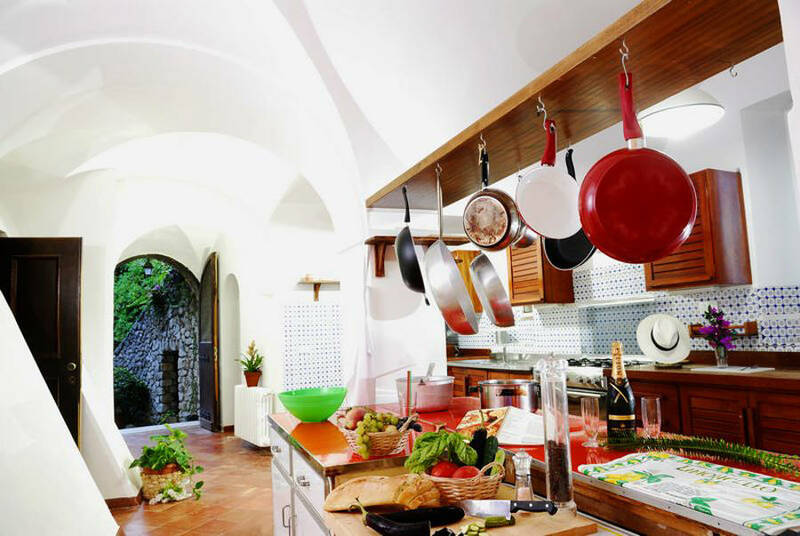 The villa also offers a fully equipped kitchen perfect for informal family lunches, small private parties, or even formal dinners. 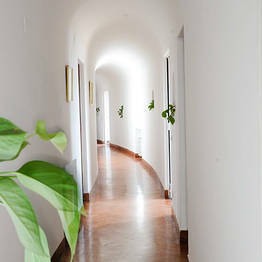 There is all you need for any type of meal, and if you have kitchen and housekeeping staff, there are two staff bedrooms adjacent to the kitchen. 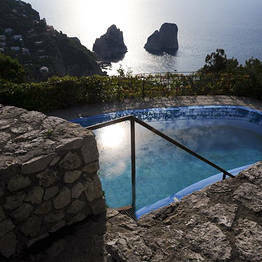 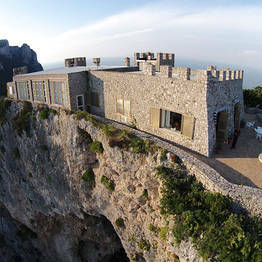 Villa Castiglione's location is unique: just a few minutes from the center of Capri, but also a world away as far as peace and quiet, set on the clifftop more than 200 meters above the sea below with 360° views that encompass the center of Capri and the Bay of Naples, including Marina Piccola and the Faraglioni. 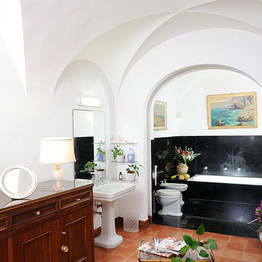 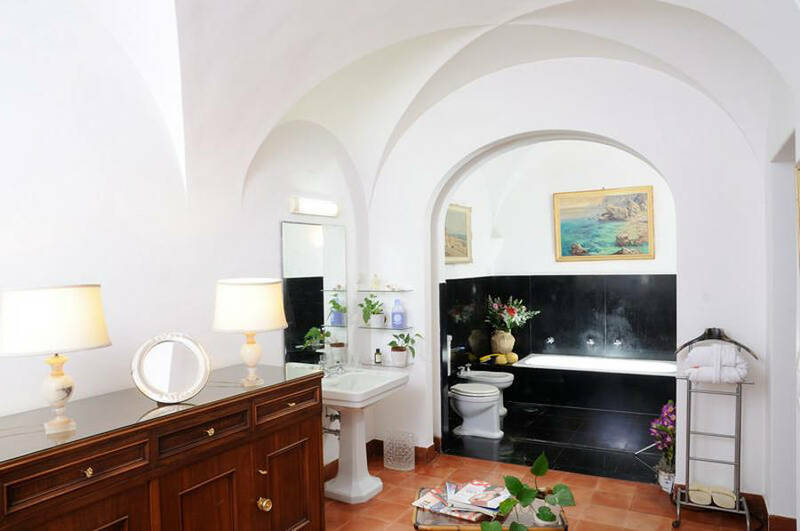 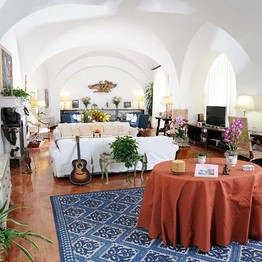 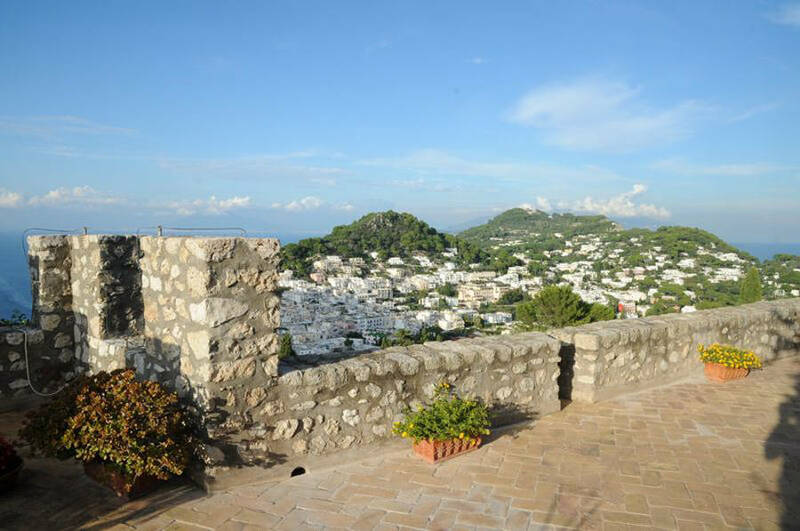 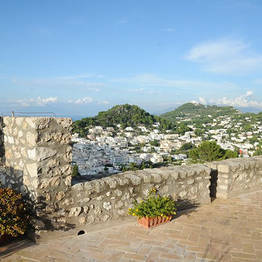 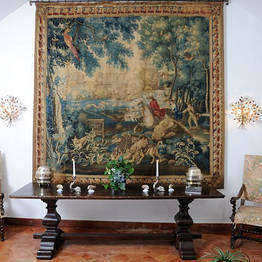 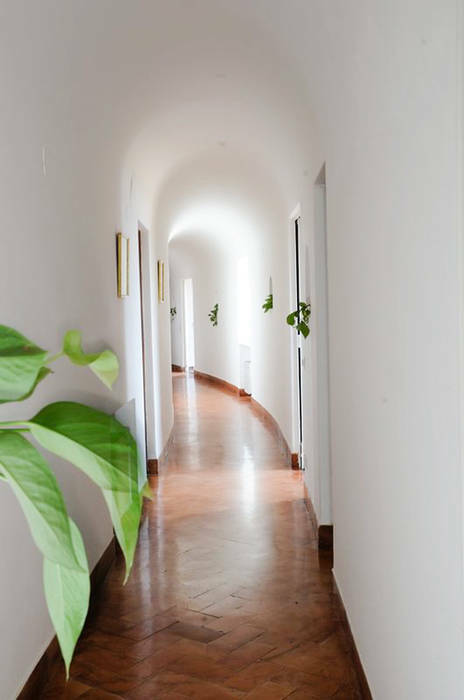 The villa is a convenient base for exploring since it is easy to reach by foot from the Piazzetta (about 10 minutes) or by taxi when coming back from a day at sea!